Shahrukh Khna upcoming movie Raees Official Trailer is release. 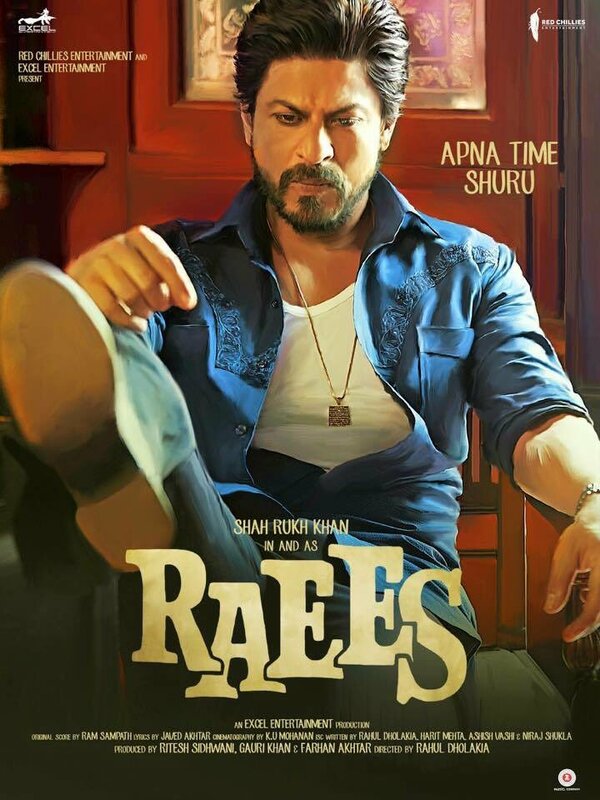 Raees is an Indian action crime thriller film directed by Rahul Dholakia and produced by Gauri Khan, Ritesh Sidhwani and Farhan Akhtar under their banner Red Chillies Entertainment and Excel Entertainment. Raees film stars Shahrukh Khan, Mahira Khan and Nawazuddin Siddiqui lead role in the film. Raees film based story on Abdul Latif’s life. This film is scheduled to be release on 25 January 2017, but again falls in the trap of clash with Hrithik Roshan starrer Kaabil film. Later, the release of both the films preponed on 25 January 2017. Raees is based story on real life character underworld don (Shahrukh Khan) Abdul Latif played on important role in the decline on congress and growth of BJP in Gujarat. The film is in 1980s Gujarat.